Is the Bible a White Man's Book? 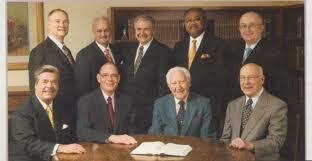 You are at:Home»Articles»Is the Bible a White Man’s Book? If the book called the Bible was The Word of God, it has certainly been wrongly used to mislead, deceive, subdue, control, and strike fear in billions of persons. Like a weapon in the wrong hands, it can be deadly. And, it has been. It has been used to swindle entire nations of people of color. I am truly astounded at how those loyal to a book that that claim is from God, ignore the facts of how it has been used – and still is used – for evil. I am equally astounded at how these same people – no matter the color of their skin – give a free pass to those who initiated the misuse and – what I call – a great deceptive work. It is true, that “The Bible” was not written by Europeans, but it was Europeans who took writings and compiled them into a book THEY gave the name Bible to. So the Watch Tower answer provided is not what is asked in the question. The truth is that “The Bible” is a White man’s book; yet, Jesus’ teachings are not. I hope you see what I am getting at here. The title “The Bible” was created by Europeans. It was even a European politician, Emperor Constantine who dictated to Bishops what was to go into it and how it was to be believed. One can even take a look at the Watch Tower publications. One can see the strong European influence in it as Adam and Eve, Noah, Moses, Jesus, Angels, The Prophets, the Apostles and many more are portrayed as White people. For sure the Watch Tower claims that it is one big happy family representing people of all the nations, but its leadership at the top – The Governing Body – since the beginning as being men of European descent; hardly representative of its more than 7 million diverse racial makeup. To this day, The Governing Body is still made up mostly of White men and only in recent years was a Black man by the name of Samuel Herd added. His addition, I believe, to throw persons of African descent a bone. Samuel Herd is a “company” man who is just as under the power and control by the European-based Governing Body as everyone else. So is “The Bible” a White mans book? Of course, it is. As stated, the Bible was created by, named by, and compiled by Europeans. The European usurped it and made it his own. The European has pushed his own making upon the other races of mankind – violently if necessary – to sway the world in the way of the European mindset. There was no such thing as The Bible in Jesus’ day and there was no such thing as The Bible for many hundreds of years after his ascension. So, yes the Bible is a European (White) man’s book. Scan through the Watch Tower Organizations publications and look for pictures of Adam and Eve, angels, and Jesus. Then tell me if they do not in the likeness of the European. 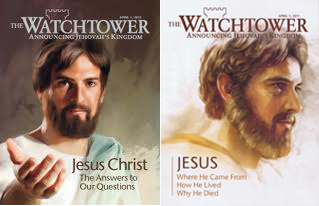 Here are recent depictions of Jesus in several recent Watchtower magazines. He is European. Below are typical depictions of Adam and Eve. Both are depicted as White people. Adam has a fresh haircut and Eve looks like she just returned from the hair salon. Such images are not only misleading, they are very dangerous and serve to deify a particular race among men: The European. The excuse the Watchtower gives for these depictions is that they are just illustrations. Oh really? As a former twenty-year Jehovah’s Witness who is of African descent, I always had a problem with almost everyone mentioned in Scripture being depicted as persons of European descent in the Watch Tower publications. These are not just illustrations, but are a part of the global imposition of a European mindset designed to bring under control persons of color – namely persons of African (Hamitic) descent by indoctrinating them to reject their own ancestry, adopt a European mindset, to not be interested in their own ancestral history, to view the Creator and His Messiah as somehow White-like, and to be in fear of Whites and subjugated to them. It was at that point I began to see the subtle inner-workings of the European mindset within the Watch Tower Organization. Our African children would grow up deifying White people and believing them to be credible in all that they speak and do. A close look at the African man and woman within the Watch Tower Bible and Tract Society is a heavily Europeanized one. They are more European than African. It is the European image that the Watch Tower pushes and maintains. An image is a very powerful thing. The Watch Tower Organization uses them artfully to mislead. So the answer given by the Watch Tower organization, does not fit the question “Is The Bible A White Man’s Book?” It is interesting too that the Watch Tower gives an answer to this question from “The Bible!” The very book that is in question as being a White man’s book! The man in the Watch Towers shown above is not Jesus. They are false images. Why? Because no one today has seen Jesus to say this is how he looked. And certainly, Jesus is no longer a man. It takes a lot of arrogance to render Jesus and other characters in Scripture in the likeness of the European and not expect persons like myself – who have children – to blindly accept it. White parents – and indeed any of European descent – will have no problem with these images and no problem with their children seeing and visualizing Jesus in this way. These images do nothing but deify a particular race. There is no way that such images would be rendered as African. The Watch Tower and all other so-called Christian religious would have a problem with it. European-descent parents would not want their children visualizing Adam and Eve, Jesus, Noah, Angels, etc of a different color. Yet, it is OK for everyone else to subscribe to the way they have depicted them in their likeness. It would be equally wrong to depict these same persons in the likeness of any race of men because no one today saw any of them. Yet, the European has stood up a book they gave the name Bible to and have Europeanized it. We see that strong European influence everywhere – yes – even within The Watch Tower Bible and Tract Society. What power would arrogate men to think that it was God’s intent to establish an earthly organization with leadership at the top consisting primarily of all men of European descent? I believe the day will come when Samuel Heard will break away from the Watch Tower Organization for reasons such as this and others. He is too intelligent a man not to wonder why it is the way it is. In conclusion, I would like to state that much of what has been taught about God and His Messiah is wrong. Why? Because the teaching of them proceeded from the foundation of a European mindset. The European and his descendants have depicted them incorrectly, wrapped them up in what is called religion, sold the world a bill of false goods. The Creator is invisible and is a Spirit. He is not flesh and blood. His Son – His first Son – is invisible and not flesh and blood. He too is a Spirit. Yet, the European has placed before all of the world visible images of them as being White persons or White-like. This is the most deceptive thing that has occurred. As I am writing this article, I set at my desk in a small African country and I see the fear my African Brothers and Sisters have of Whites who live here. Many of them are Catholic, Seventh Day Adventists, and Jehovah’s Witnesses. Their fear of Whites stems from these religious systems that have indoctrinated them to revere Whites because the images placed in front of them in their Bibles, film, and art are of Whites. I do not like what I see. I did not like to see it in my country of birth – The United States – and I don’t like to see it here. The sad part is that many of these Whites claim to be “good Christians” but treat the African less than animals and as people suitable only to be at their beckon call. The saddest part about it is that the African adopts the European religious system; the very system that enslaved them and the very system that still cultivates a mindset that cultivates intolerance of persons of color. A religious system that claims it teaches and practices love, is really a system of religion that gives only lip service. It is a religious system that is fine with only those persons who adopt and go along with the program and become transformed into a “European.” It spews any out of its mouth who do not and are intelligent enough to see what the so-called Christian religion is. The Christian religious system is not from God. It is an impostor. The Messiah foretold it’s coming at Matthew 24:5. It does not really champion the teachings of Christ. It only mentions Christ as the Messiah and ritualizes a form of teaching as a grand facade pretending to be godly only to Europeanize people of color in order to control them. Many reading this article – especially persons of European descent – will be the first to say that I am being racist. I say to them, that I am being a champion of Christ’s teachings. It is easy for one of European descent to call a person like myself racist because he does not reject the images of God, Jesus, Adam and Eve and others in Scripture as White. He has no problem seeing them depicted in his likeness. He is simply an unwitting party in the maintenance of the use of Christianity to push a European mindset upon the world. As a lover and worshiper of The One Most High God and servant and champion of the Messiahs teachings, I reject images of them as European. Secondly, no one today has ever seen Adam and Eve, Moses, Noah, Jesus or angels in their true form, to depict them in the likeness the European (or any race among man). This is not being racist, it is telling the truth. A truth that those in power will place a foul stench upon you for telling. So, is “The Bible” a White man’s book? Absolutely. The European created it and uses it to exercise power and control over billions. Yet, Christ’s teachings are not White man’s teachings. Perhaps many of them would like to think that they are. But when I read Christs sayings and teachings; and I see how he dealt with those who sought to silence him and persecute him; and I see how the crowds tried to lynch him; and I see how he was cruelly put to death, I see more of an African man in him than I do anything else. It was a European power – Rome – that put him to death. Previous ArticleIs The Bible From God? Next Article Did Moses Write the Bible? Thank you, Devan. Many like you and I are who are still captive to that organization refuse to see this. What is also interesting is that the man Nimrod was a son of Cush. Cush is the progenitor of those known today as Africans (African descent). Yet, the WT does not depict Nimrod as a dark-skinned man. In fact, they paint him as a “mighty hunter in opposition to Jehovah.” They ignore the great accomplishments of Nimrod who had the first kingdoms, cities and built the first great stone structures. The WT says that Nimrod hunted men for sport. This is not true. Nimrod was in opposition to Jehovah in that he introduced the eating of the flesh of animals (Jehovah commanded man to eat the fruit of trees and green vegetation) and so Nimrod hunted animals and introduced the hunting and eating of them. I am not surprised at the WT for historically engaging on and participating in the degradation of persons of color. The WT, like all of the other so-called Christian organizations, deify persons of European decent. We see this reflected in the publications and in the authority structure of the organization. A person who is of African descent within the WT organization is Europeanized and the WT agenda is to keep him that way. It is that very thing that makes it difficult for persons of African descent to see what I am talking about here. I am a white woman writing from Switzerland. 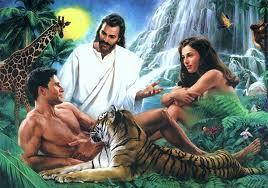 I am very sad to see these pictures of Adam and Eve depicted as white people. Of course this is not true. Adam and Eve were most certainly black. All races have come from Africa. You should feel proud of this. And if God has made us in his image he must be black too. Ask any scientist and he will tell you that this is true. This has been scientifically proven. We are all brothers. Please spread the good news. I'm glad I found this. 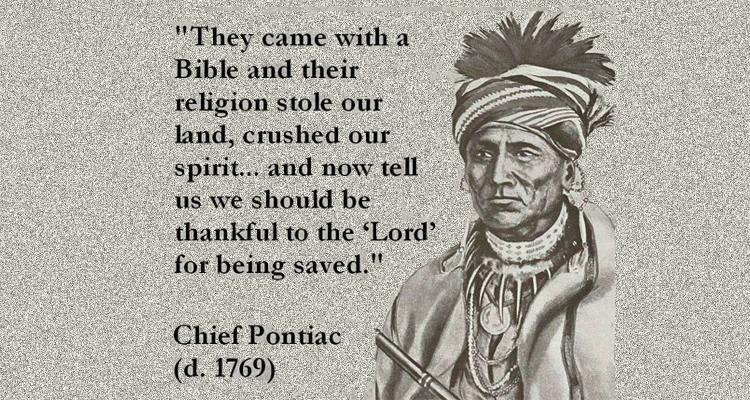 I've been so confused of what's authentic about the bible because there is this new propaganda that whites has used this agianst us to enslave us. And the fact that I'm constantly given negative views about my ppl and all I imangine Jesus is white made me feel that the bible or Christianity wasn't for me. I mean how can I put my trust into someone who looks like my oppressor. I began to get angry because I felt bamboozled and used. But I know now that I need to read the bible more and Interpet it myself. I still have my concerns tho but simply because I feel like I'm missing out on what my ancestors believed in. I just don't want to be tricked into thinking in a way of life that's not true. I mean shouldn't I ask more if all I know is my ancestors getting off a slave ship and handed a bible and told to work? It's just the delivery was so bad idk if I can trust anyone into believing what's real or not. I understand. If one really views the going-ons in this world, it is primarily some one trying to exert power and control over you. What is called “Christianity” (Jesus never named a religion, the European did) has been the primary tool to take control of people; especially people fo color who Whites felt were backward and heathen and need to be converted in “the name of the LORD.” But the truth of the matter is that the exercise of power and control has been for THEIR benefit and they still largely benefit today as they act like gods traversing all over the world conquering and taking what is not theirs to take. This behavior is not from the real God and Christ! The God and Christ “Christianity” promotes are false. 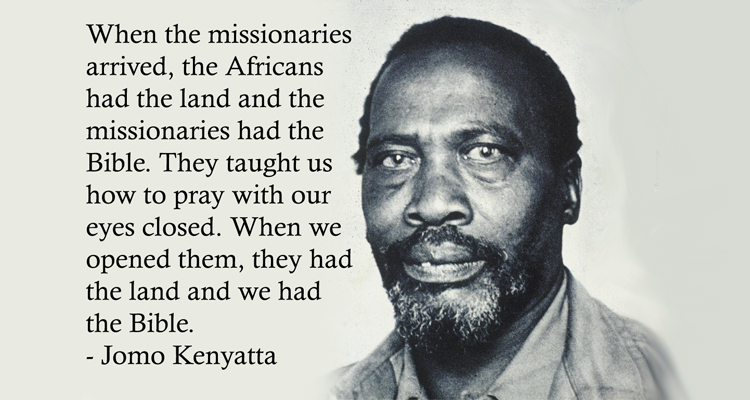 Black people would have no knowledge of the White mans religion and God and book (the Bible) had they not enslaved a race of people and imposed a religion upon them or dispatched missionaries into the world to poison the minds of the trusting and unsuspecting African. Christianity and their book, has been used to control people and make them fearful of THEIR White God and White savior and Whites and authority figures. I love my African ancestry and I refuse cast off what is in my bloodline. I cannot worship a god or follow a savior that looks like a person of European decent knowing that these were the race of people who enslaved us. (Pope Nicholas V endorsed the Slave Trade in 1452). I question what is wrong with those White people who think that this is OK. I also question Black folk who blindly accept it all and who are afraid to question, challenge and investigate it. Most Blacks in America today carry names that is not African, but are European … and they think that we are a people who have not been mislead, bamboozled and tricked! In spite of all that I have said and write on this website, I believe in one God (our African ancestors did) and I believe that He is a Spirit. I just do not believe Him as Whites have portrayed him. I also do not view a book – the Bible – as some ultimate authority or as The Word of God. The European man has had his hand in it. He compiled it, gave it a name, authorized it, calls it holy, and calls it The Word of God. This European man has acted as if he is god in doing all of these things. And, he has used this book to subdue and control people. He has built up a vast system of religion – called by him, Christianity – through which he captures the masses and injects them with a controlling and mind-numbing poison that makes it extremely difficult to reason with them. It has been through this religion that some of the most heinous atrocities have been committed upon the human family. It is a selfish, divisive and hypocritcal religious system that is really promoting veneration of White authority. Like my ancestors, I believe that God is a Spirit and our approach to Him must be in a spiritual sense, not in a physical sense and through the things that we can see. I believe that a man once existed on this earth and that many attempts were made to take his life, not only because he claimed that he was God’s Son, but also because he was different and he looked different. I believe this man was out of Africa. Matthew 2:15 says, “Out of Egypt, I called My Son” (Egypt or Kemet is in Africa). The person the White man calls Jesus, was not known by that name back in his time. The Bible does not tell us much about his life before the age of 29. It seems to me that he spend most of his years in Egypt and was educated there and when he returned to Jerusalem the people wondered how could the son fo a carpenter be so lettered. That he lived in Egypt would mean that he probably had an Egyptian name. He certainly was not called Jesus (which is English and the English language did not exist). My point is that what any of us know about almost anything in this world, comes from the White man. The educational systems are European-based. The world and universe are conceived by the European. He has even named the planets and the stars! We are surrounded, bathed and engulfed in a false world that has been conceived by the European. No wonder he makes God, Adam, Eve, Angels, Jesus, look like him! Like I stated, the man the world knows as Jesus said that his kingdom is not of this world. I am of the belief that 99.9% of what is spoken about The Most High God in this world and its religious systems are lies. Thus the need to question, challenge, and investigate everything we are told and not be bullied into blind belief and acceptance.